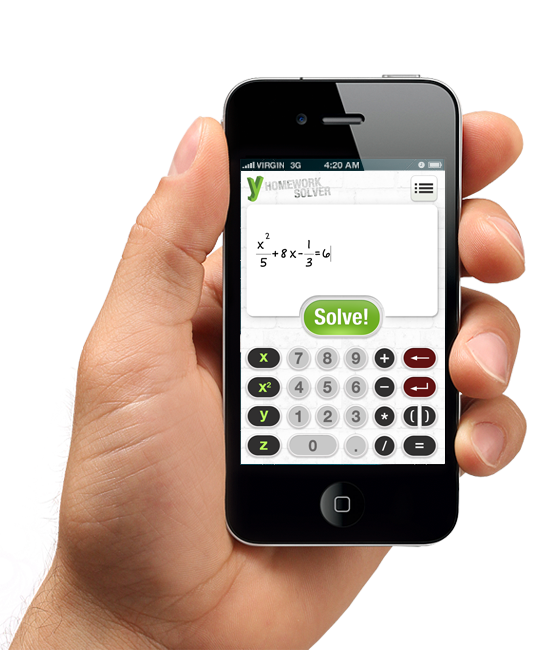 yHomework – Math Solver Full solution, step-by-step! 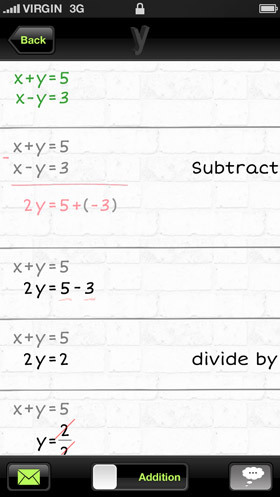 Enter your math expression, problem or equation, and get the full step-by-step solution! Over 3 Million users can't be wrong - install yHomework today! 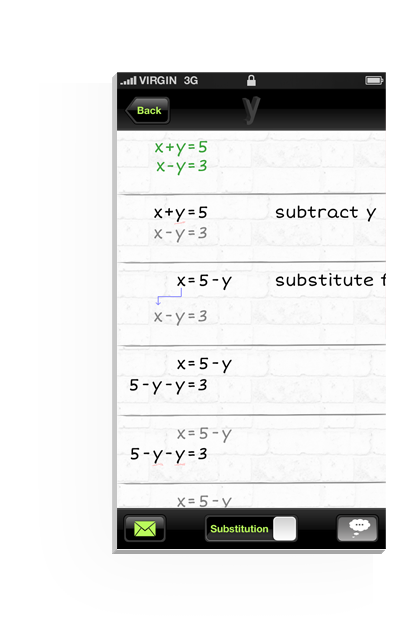 yHomework is an easy to use friendly Math solver app, designed for students and teachers. It's simple! 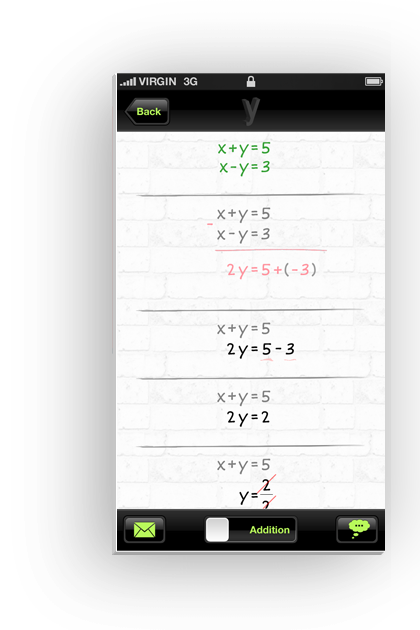 Enter your math problem and in one click get a full, instant step-by-step solution! Just the same as the teacher would write on the board, and just the same as you would solve it in your notebook. Full step-by-step solution, including explanations and final solution, in all methods of solving. Send your friends the full solution. Help us spread the word by rating the app, sharing solutions, and tell your friends what we are doing, so everyone can start solving math the easy way! 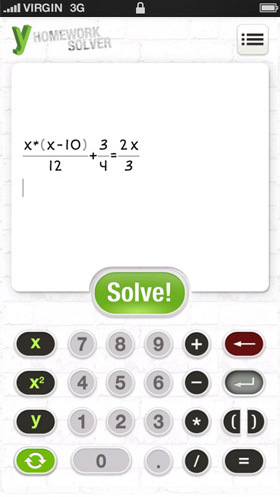 Simply type down the expression, problem or equation you're up against and hit Solve! 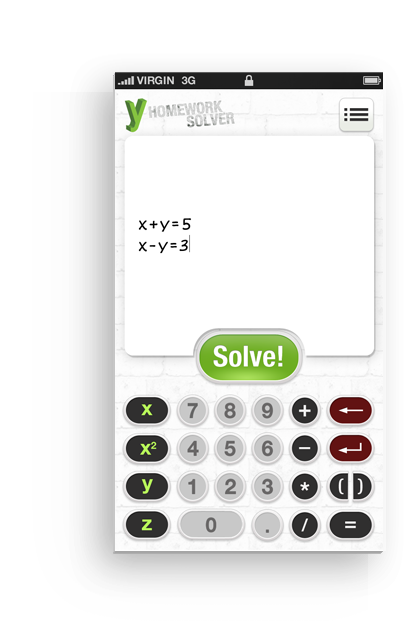 yHomework shows you more than one way to solve your equation, and explain all the steps leading you to the final solution. 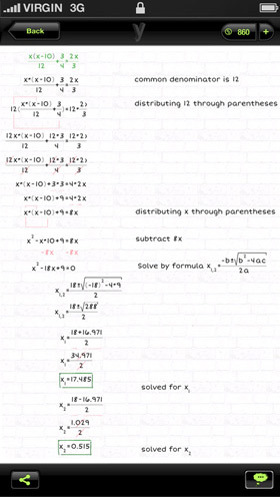 Send your friends the full solution and tell them what we are doing, so everyone can start solving math the easy way! "My life will be so much better because of this..."
"WHERE WAS THIS WHEN I WAS AT SCHOOl?!" "I am having trouble in my advanced 7th grade algebra1 class and was really struggling because of my ADHD. I kept dropping this or that and kept losing focus. I looked for half an hour for a calculator that actually explained what I did wrong like a teacher would. Your app was the only one I found that did. Now I'm finally getting what I do wrong! Thanks soooooo much! It's the best math app ever!" We are always happy to hear from our users! yHomework © 2014 - All rights reserved.